The Pro Bono Council welcomed Catherine Brown in January 2017 as their newest Manager. Catherine has held multiple positions supporting legal aid and pro bono and brings a wealth of experience to the work of Washington’s volunteer lawyer programs. Catherine has also served on the ATJ Board’s Leadership Development Committee, most recently as one of its co-chairs. We believe Catherine will be a great asset to the work of the Pro Bono Council. We asked Catherine to share a little about her background and what motivates her. Read her responses here. 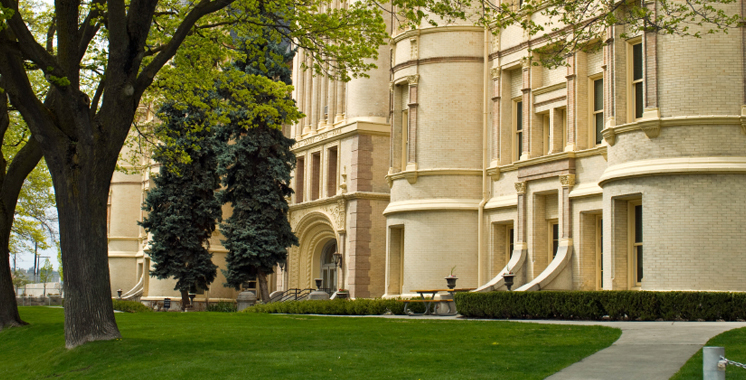 Stokes Lawrence is pleased to offer three $1,500 tuition scholarships to first year students from diverse backgrounds; one at each of the three law schools in the State of Washington. Our goals is to promote opportunities within the profession and to encourage a dialogue around the issue of diversity in the work place. The Diversity Scholarships are open to all first year law students of diverse backgrounds who have demonstrated promise for a successful career in law and are committed to community involvement. MELAW in conjunction with the Muslim Community Resource Center (MCRC) and the Muslim Association of Puget Sound (MAPS) will be hosting a legal clinic on April 30. This clinic is open to all, but will be focused on reaching the Muslim and Middle Eastern community. Do you volunteer for IFAP, PFJP, SYLAW, CHRJ App Help, ELS research project? Do pro bono work for a community-based legal or public interest organization? Volunteer as a case manager or leader for a student-led pro bono project? Intern last summer for a public interest organization and didn’t get a summer grant, stipend or externship credit? Volunteer at a non-profit organization? If you can answer YES to any of these questions you are likely eligible to participate in the UW Law Pro Bono Honors Society! Submit your online form so that you can be recognized with fellow students, faculty and staff with a Pro Bono Service Award at graduation! director, as well as the public. The Washington Dental Service (WDS) Foundation is seeking a strategic, organized individual to lead the Foundation’s strategies for influencing public policy. Our Policy Advocate & Analyst position involves identifying and analyzing public policies that will improve oral health in our state and nationally. This role builds knowledge of, and relationships within, the oral health, children’s health, and seniors health arenas — both locally and nationally. Our knowledge- and relationship-building efforts share the goal of creating the political will to change policies. Additionally, our Policy Advocate & Analyst partners with the Delta Dental of Washington Government Relations staff and the Foundation’s lobbyist in order to position the Foundation as the state’s oral health expert. Attention Rising 2Ls & 3Ls! US Attorney General’s Honors Program (HP) and the Summer Law Intern Program (SLIP) Now Open! The online application for the Attorney General’s Honors Program (HP) and the Summer Law Intern Program (SLIP) is NOW open! The deadline for law students and eligible graduates to apply is Tuesday, September 8, 2015. Honors Program information and link to the application is here. SLIP information and a link to the application are here. Asset Forfeiture Fellowship Program (3) – This is a three-year fellowship which may be extended or converted to a permanent position. Federal Bureau of Investigation, Office of General Counsel (2) NEW! Details regarding the participating components, program eligibility guidelines, and application instructions can be found here. Listed below are externship opportunities available during the 2015-2016 school year. For additional information about these and other externship opportunities, please check the list of approved externship placements here. If you are interested in exploring an externship, please complete the Externship Interest Form here. Or emailed to Cindy Phillips at cindy.phillips@courts.wa.gov. In your cover letter, please indicate which quarter(s) you are available. The Seattle Office of Housing (OH) builds strong, healthy communities and increases opportunities for people of all income levels to live in our city. In September of last year, Mayor Murray and City Council called together leaders in our community to help develop a bold agenda for increasing the affordability and availability of housing in our city by convening a Housing Affordability and Livability Advisory Committee. This position is a senior member of OH’s Policy and Equitable Development team, with responsibilities that span policy development, program development and communications. This position will engage in extensive and complicated policy and program development, stakeholder outreach and engagement, and close partnership with and presentation to senior management, other city departments, and elected officials. The Department of Public Defense (DPD) is now recruiting for a volunteer intern or extern for the fall quarter in our Associated Counsel for the Accused Division (ACAD) Seattle office, drug court or felony unit. DPD is renowned nationally for its excellent legal representation to indigent clients in King County, governed by a voter-approved amendment to the County Charter that made DPD a permanent, independent department within county government, the Department of Public Defense is overseen by a chief Public Defender with support and guidance from an advisory board comprised of regional leaders in public defense. For more information about the internship, click here. Prisoners’ Legal Services of New York (PLS) is seeking fall interns for our regional offices in Albany and Buffalo for 2015. PLS is a nonprofit legal services organization, founded in 1976. PLS provides civil legal services to indigent prisoners in New York State prisons, in cases where appointed counsel is not available. Under the supervision of experienced attorneys, student interns will respond to a variety of prisoners’ letters, review disciplinary hearings, draft administrative appeals and assist in state and federal litigation, among other work assignments. Students will also have the opportunity to interview clients in prison. Limited work-study is available, but students are also strongly encouraged to inquire with their Career Services Office about funding for public interest positions. The Indian Law Resource Center seeks a legal intern for our Washington, DC office for Fall 2015. Knowledge of international and/or federal Indian law and Spanish language skills are preferred but not required. Internships are available for all levels of experience. Interns will assist staff attorneys with legal projects, such as: Multilateral Development Banks, Strengthening Indigenous Rights in the Inter-American Human Rights System, Guatemala, etc. The Attorney 1-Deputy Prosecuting Attorney is an entry level position focusing on the prosecution of infractions, arraignments and in-custody hearings for the City of Bellevue. The position may also include prosecution of misdemeanor and gross misdemeanor cases through all stages of prosecution at District Court (arraignments, motions, trials, reviews), as well as appellate matters. The Board of Trustees of the Spokane County Bar Association is accepting applications for the position of Executive Director. Duties include overall management of the SCBA and Volunteer Lawyers Program operations, hiring and supervision of a staff of 5-6, working with the SCBA and VLP Board of Trustees, managing finances for both SCBA and VLP, organizing SCBA/VLP membership events and functions, and representing the SCBA membership at events and in the community. Qualified applicants must have strong management and organizational skills as well as being an excellent communicator. Applicants must have a demonstrated ability to work under pressure and multitask. Bookkeeping/accounting experience and a working knowledge of the legal system or legal assistant/paralegal experience preferred. Grant writing experience is desirable. Some travel is required. To apply, please email a resume, cover letter, and a list of references to info@spokanebar.org with the subject line “SCBA Executive Director Position.” The deadline for submission of applications is Thursday, August 20, 2015. Qualified applicants will be contacted for an interview after the deadline. Welcome spring with these new, awesome job opportunities for students and alumni! 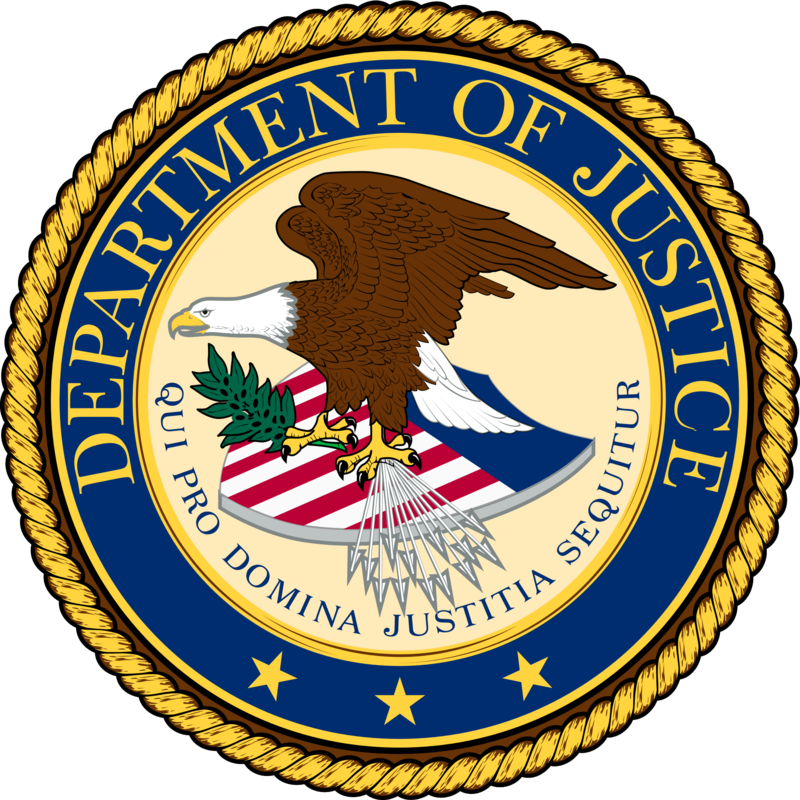 This position is located in the Department of Justice (DOJ), Office of Justice Programs (OJP), Office of Juvenile Justice and Delinquency Prevention (OJJDP). OJJDP is focused on juveniles in crisis from serious, violent, and chronic offenders to victims of abuse and neglect. Charged by Congress to meet this challenge, OJJDP collaborates with professionals from diverse disciplines to improve juvenile justice policies and practices. OJJDP accomplishes its mission by supporting states, local communities, and tribal jurisdictions in their efforts to develop and implement effective programs for juveniles. The Office strives to strengthen the juvenile justice system’s efforts to protect public safety, hold offenders accountable, and provide services that address the needs of youth and their families. The incumbent provides advice and guidance to resolve, implement, or manage program or policy issues that involve major areas of complexity in approach or methodology; prepares short- and long-range planning guidance in accordance with broad program policies and objectives; prepares guidance based on analyses of interrelated issues of effectiveness, efficiency, and productivity of substantive mission-oriented programs in one or more of the OJJDP specific policy areas that have a direct impact on the lives of American Indian and Alaska Native youth (e.g. adapting a developmental approach to juvenile justice reform nationwide; responding to the key recommendations from the Attorney General’s Task Force on American Indian/Alaska Native Children Exposed to Violence; family/youth engagement; child protection; juvenile justice system improvement; and delinquency prevention). Under the supervision of highly experienced staff attorneys, law clerks will serve as part of a statewide team of legal services advocates who work cooperatively, with other providers, in bringing high quality representation to the State’s indigent population. Dependent on the office, substantive priorities may include family law, housing, consumer, employment, public benefits and education. Law clerks will experience the realities of a legal services office as they aid the attorneys with legal research, interview and advise clients, and assist in case planning. Law clerks may also help develop self-help materials for pro-se litigants, training materials for staff and clients and work on other special projects depending on the needs of the office. Externships for credit during the school year are also available in the Seattle, Spokane and Tacoma offices. Positions for summer 2015 may include: Please indicate your locations of interest. Come make equal access to justice in our community a reality by managing our Domestic Violence Legal Project. You can help Eastside Legal Assistance Program (ELAP) provide legal services to survivors of domestic violence. This is a full-time employment opportunity. Materials must be submitted no later than 5 PM Friday, April 10, 2015 to be considered. Please send résumé, cover letter, writing sample (family law based and your independent work product), and list of two references to: Stan Kehl, Executive Director, stan@elap.org. Applications will be reviewed upon receipt. Qualified candidates will possess a Bachelor’s degree in economics, social sciences, public administration or related field, with a minimum of two to five years of experience in the non-profit sector, legal field or public policy sector. Experience collecting, analyzing, and organizing data, and producing reports is required. The ideal candidate will have demonstrated strong qualitative and analytic skills with a keen attention to detail and data accuracy and the ability to translate information into reports. Excellent research skills using both web-based and published materials required. Significant knowledge of civil legal aid programs is preferred. The ideal candidate will have knowledge of survey and research design methods and the ability to verify the accuracy of data sets and computer generated reports. The ability to work independently and in teams is required. The position requires excellent skills in written and oral communication. Computer proficiency utilizing Microsoft Office Suite (Word, Excel, PowerPoint), internet and E-mail; database proficiency and desktop publishing skills along with a willingness to learn HTML required. Candidates must have a strong commitment to the mission and goals of NLADA and a thorough understanding of its work. NLADA has a collegial, highly collaborative, professional office environment where employees take pride in effectively leveraging resources and fully engaging to deliver excellent results. We value service, creativity, and thought-leadership. We are conveniently located near D.C.’s Metro Rail (Red, Blue, and Orange lines). NLADA is an equal opportunity employer. Position open until filled. CJA seeks Senior Staff Attorney! The Center for Justice & Accountability (CJA) seeks a Senior Staff Attorney or a Staff Attorney. CJA is an international human rights organization dedicated to deterring torture and other severe human rights abuses around the world and advancing the rights of survivors to seek truth, justice and redress. CJA uses litigation to hold perpetrators individually accountable for human rights abuses, develop human rights law, and advance the rule of law in countries transitioning from periods of abuse. Applications welcome immediately; position open until filled. Applications must include: 1) a letter that addresses your goals and your interest in this position; 2) resume; 3) writing sample; and 4) names of three references. Submit electronic application to jobs@cja.org with the words “Staff Attorney” or “Senior Staff Attorney” in the subject line. Black Women’s Blueprint, is a civil and human rights organization. Our purpose is to take action to secure social, political and economic equality in American society now. We work to develop a culture where women of African descent are fully empowered and where gender, race and other disparities are erased. We engage in progressive research, historical documentation, policy advocacy and organize on social justice issues steeped in the struggles of Black women within their communities and within dominant culture. Our flagship initiative is a Black Women’s Truth and Reconciliation Commission on Sexual Assault in the U.S. (BWTRC). A core component of this ground-breaking initiative is to map the official and unofficial ways in which the rights of sexual assault survivors to personal and economic security have been violated. This participatory study will explore Human Rights Articles 2, 3, and 25 of the Universal Declaration of Human Rights, which ensure non-discrimination, personal security and economic security and will implement related policy advocacy. Submit resume and cover letter to ftanis@blueprintny.org, with the subject DIRECTOR BWTRC in the subject line. Bay Area Legal Aid (BayLegal) seeks dynamic law students with a strong commitment to public interest and social justice advocacy to help provide comprehensive legal services to the poor. BayLegal is the largest staff based non?profit law firm providing free civil legal services to low?income individuals and families in the San Francisco Bay Area. We provide services on a regional basis through local offices and clinics located in the following 7 Bay Area counties: Alameda (Oakland); Contra Costa (Richmond); Marin (San Rafael); Napa; San Francisco; San Mateo (Redwood City); and Santa Clara (San Jose) counties. Additionally, BayLegal has a regional Legal Advice Line which conducts intake and provides advice and counsel. With six regional offices, and 100+ staff members, BayLegal is uniquely positioned to help people across county lines. BayLegal assist clients in four main priority areas: (1) Domestic Violence Prevention; (2) Housing Preservation; (3) Economic Security; (4) Health Access; and (5) Consumer Protection. Internships are available throughout the year and applications are accepted on an ongoing basis year-round until all positions are filled (for summer candidates, we recommend submitting your application before March 1st). AARP Foundation Litigation is seeking to hire a summer law clerk to work with the Consumer Protection and Housing teams. The position supports senior attorneys working on a wide range of legal reform and impact litigation cases in courts nationwide.Law clerks will conduct legal research and write memoranda for amicus curiae briefs and litigation documents for cases in these different areas. Remote work is a possibility. If interested, send a cover letter, resume and writing sample (5-7 pages) to Michelle Poncetta at mponcetta@aarp.org. Please put “Summer Law Clerk Application” in the subject line of your email. The position is for 30-40 hours per week. This is an unpaid position.Funding can be provided through your school program. The Alaska Labor Relations Agency is a quasi-judicial agency that handles collective bargaining issues for public employers and public employees for the state, university, railroad, school districts, and political subdivisions within our jurisdiction. The mission of the Alaska Labor Relations Agency is to facilitate cooperative relations between Alaska’s public employers and the labor organizations that represent public employees. The agency is recruiting for a Hearing Officer to help with this mission. The incumbent independently serves as hearing officer for the Alaska Labor Relations Agency, investigating, mediating, and adjudicating public labor relations disputes. As the Agency’s sole hearing officer and investigator for a lay board, the incumbent exercises substantial independent discretion. The incumbent investigates petitions and charges and mediates between parties. The incumbent conducts adversarial hearings and proposes decisions for adoption by the board. The incumbent evaluates settlement agreements, responds to inquiries from the public, and performs other duties as assigned, such as drafting or editing proposed regulations or statutes, conducting public board meetings, holding pre-hearings and pre-election conferences, issuing rulings on motions and matters before and during hearings, issuing subpoenas and conducting elections. The incumbent must be able to comprehend applicable statutes and regulations and to communicate effectively to explain agency services and requirements. The potentially heavy workload demands ability to establish priorities, meet deadlines, and work under stress. The incumbent must have good oral and written communication skills. Writing skills must include the ability to draft logically organized legal decisions that clearly evaluate evidence, summarize facts, apply legal principals, and evaluate arguments. In addition the incumbent must be able to independently conduct impartial investigations, hearing, and mediations. This position requires tact, discretion, confidentiality, and the ability to work independently and exercise sound judgment.